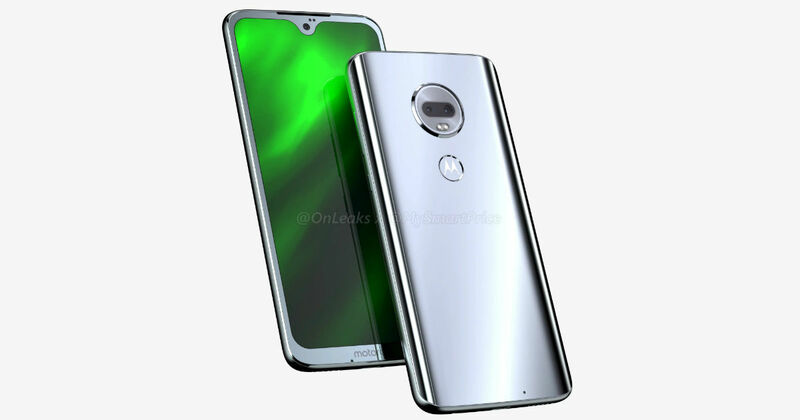 Rumors and leaks of the Moto G7 have been hitting the interwebs since a couple of months now. We have seen the renders of the phone leaked online and some of the variants have appeared on Geekbench as well. Last month, a report suggested that the new Moto G7 series would be launched in Brazil before Mobile World Congress 2019. Even the current Moto G6 series was unveiled at Sao Paulo in Brazil last year. So the timeline seems accurate. Now, according to a new report, the Moto G7 series will be launched in India by the end of March 2019. The report states, that Lenovo owned Motorola, could launch two of the new G7 smartphones in India by March 31st. It states that the Moto G7 and the Moto G7 Power would be the first phones to arrive in India. The Moto G7 Plus and the Moto G7 Play would be launched later in the year. All of these phones will be part of the mid-range market in India. The standard Moto G7 is said to be powered by a Snapdragon 660 chipset, which is miles better than the SD 450 that is present on the current Moto G6. The phone will also feature a waterdrop notch and a better screen-to-body ratio when compared to its predecessor. As per the leaks, the device will feature a 6.4-inch FHD+ display. It will also come with 4GB of RAM, 64GB of storage and a 3,500mAh battery. The Moto G7 is expected to be priced around Rs 15,000 in the country. The Moto G7 Power, on the other hand, will be a phone whose main selling point would be a large 5,000mAh battery. It is expected to be powered by the Snapdragon 625 chipset, which could be paired with 3GB of RAM and 32GB of internal storage. All the phones in the new Moto G7 series are expected to run stock Android 9.0 Pie. The G7 Power and G7 Play would be cheapest of all the variants, with the G7 Plus being the most expensive.